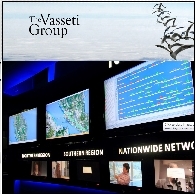 Vasseti (UK) Plc ("Vasseti") is a large, diversified conglomerate based in Kuala Lumpur. It is listed on the Frankfurt Stock Exchange ("FSE") trading under the Symbol 1VS:GR and is fully reporting on the FSE Entry Standard. It is an investment holding company with business interests in the field of network telecommunications, information technology and real estate. Vasseti consists of companies and businesses that were established from as long as fifteen years ago to several new, high growth business ventures it initiated recently. The Company has already built a successful base in Malaysia and now plans to channel its resources to replicate its business model in the neighbouring countries especially within the South Asia region linking Indonesia, China and India, and possibly expanding towards the Middle East and North Africa thereafter. The Company intends to connect all the population within the catchment or business footprint to a single virtual world that is interlaced with brick and mortar business of real estate development and construction works. It is envisaged that the product and services offered by the Company may be reachable by almost 50% of the world population by the year 2020. Its strategy is to penetrate each market through mergers and acquisitions (M&A) and eventually becoming the market leader in those emerging markets. This forms part of Vasseti's global expansion plan and having its presence in the most productive and profitable manner. Vasseti (UK) Plc (FRA:1VS) through its Thailand telco unit, is now testing its network infrastructure in several data centres within Bangkok as the phase one of V Telecoms&apos; Bangkok Metro Core Network implementation. In addition, Vasseti will be connecting this core network to its global network hub in Hatyai as well as it Malaysian network in Padang Besar and Bukit Kayu Hitam at the Thailand-Malaysian border. Vasseti (UK) Plc (FRA:1VS), through its regional telecommunication divisions, launched its global IP-Transit services for service providers based in Singapore, Malaysia, Thailand and Indonesia.